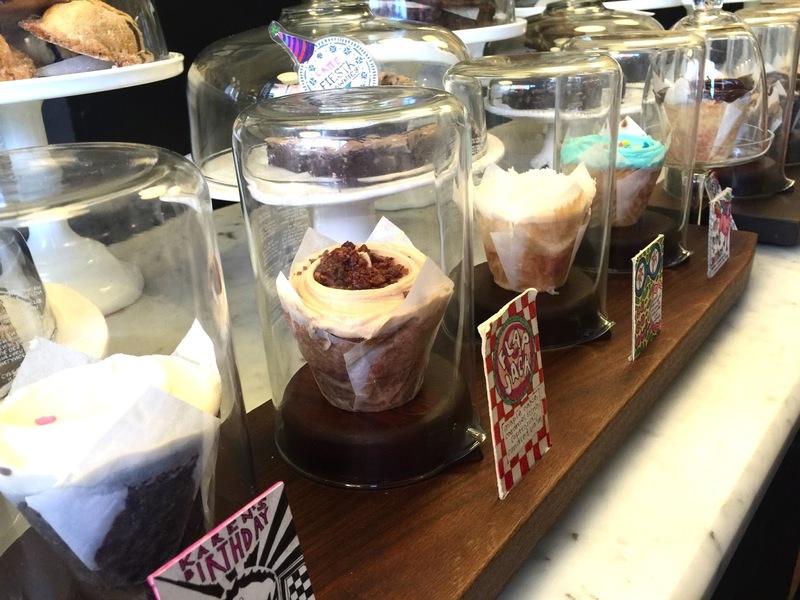 Where To Get The Best Cupcakes in D.C. Here's another post in my "D.C. Weekend Series" I said I was going to be sharing with you guys, because D.C. just has so many amazing things to do and places to eat. Speaking of eating did you catch that delicious cupcake picture on my Instagram this week? 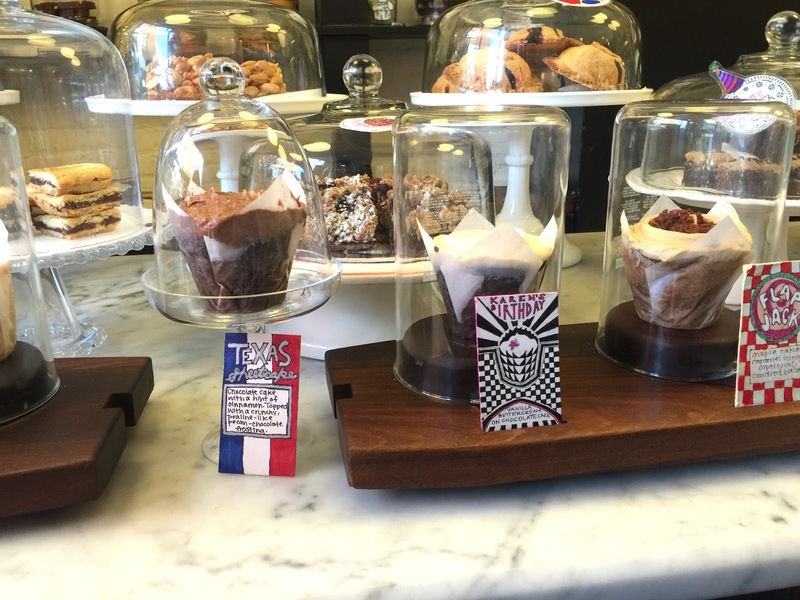 A friend of mine recommended a great place to visit for some amazing cupcakes called Baked & Wired. I must say amazing is an understatement. Those cupcakes were DELICIOUS! Over the weekend my husband and I had a fun date night to enjoy the last official weekend of summer. So we ended our date at the amazing bakery everyone is raving about. 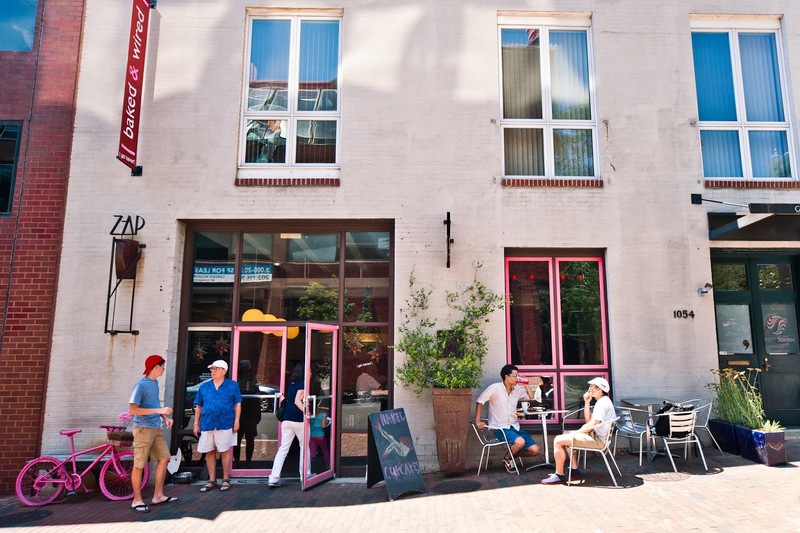 Baked & Wired is located in the heart of Georgetown across from a beautiful waterfront. 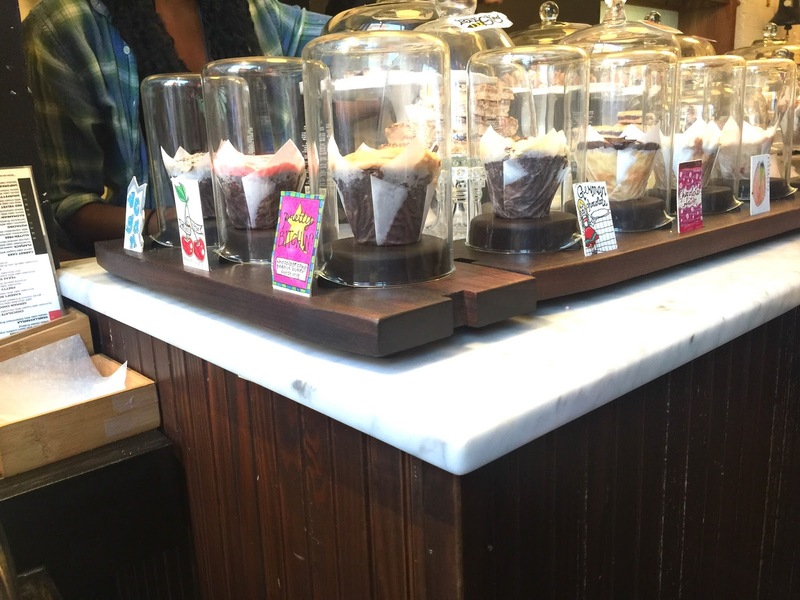 They serve bakery goods and coffee. I must warn you be prepared to make a line. The wait on the line wasn't too bad and totally worth the wait. They have a variety of flavors with funny names like Pretty Bitchin' and Smurfette. I have a big sweet-tooth and kept telling myself I wanted two for myself thinking these were normal sized cupcakes. Thank you hubby for talking me out of it because one cupcake is all you need. They are pretty big and I ended up in a cupcake coma after just one. I tried the Vegan Cupcake, which consist of chocolate cake, Oreo frosting, toped with crushed Oreos. My husband had Uniporn & Rainho, which consist of vanilla cake with heart confetti mixed into the batter and topped with cream cheese icing. We sat across the waterfront and enjoyed every bite. 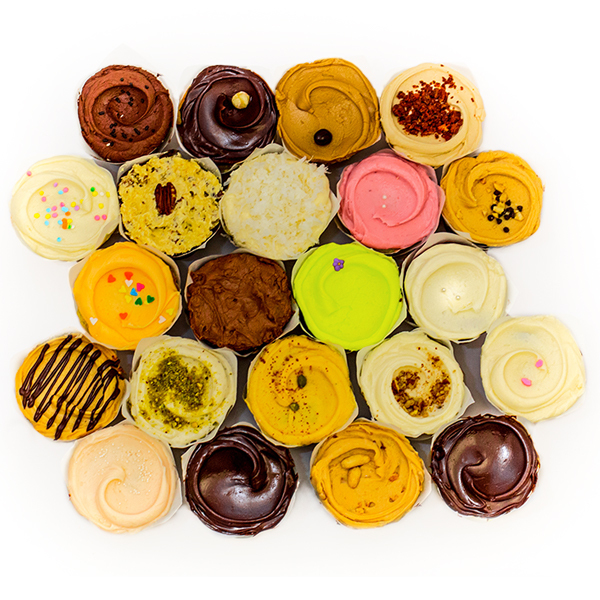 If you're ever in D.C. just stand in line and try one of these cupcakes. I promise you won't regret it! 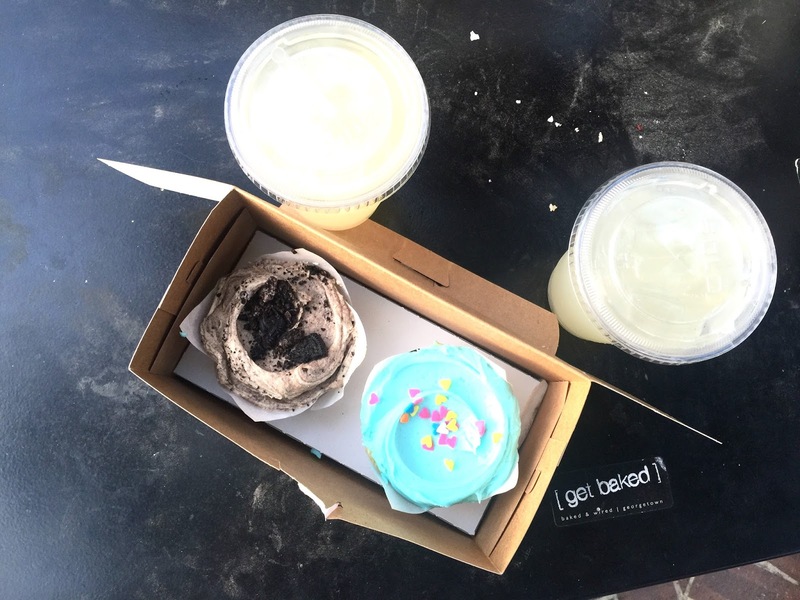 Thank you Bake & Wired for fulfilling my sweet-tooth. Don't they look yummy?! Thanks for reading.